I always though that the novels should expand the universe and not be mandatory to follow the current story. I am happy to see Blizzard seems to think this way now. Even though I don't follow the lore much nowadays, I might give this novel a shot. Who knows, maybe it could bring back some passion for Warcraft? A troll expansion would be pretty neat. Zul'Aman could be it's own zone, along with Zandalar and even some new islands. Following the legendary War of the Ancients, a group of Night Elven magi were banished from their homeland. They looked for new land to settle on the coast of Lordaeron. At this time, the area was already settled by several loosely-allied weak tribes, while the Troll race had an advanced civilization. The arrival of the foreign Magi and their alliance with the Human race lay the foundation to one of the most serious conflicts Azeroth had ever witnessed, a conflict that would be known throughout history as the Troll Wars. If this is legit, that's an interesting release date as it would be out the same month as Traveler part 2. If that does happen, it'll not only be the second year in a row they've released a book in the same month as another, but both Travelers will have also launched alongside another book. I'm not going to get my hopes up, since everything is pointing towards N'Zoth as the focus of the next expansion, but I think we all know how much I would love a Zandalar expansion. 2. The book description was removed, and left blank. 3. The Release Date was changed to a placeholder. It seems Panini was contacted to edit all this after it got leaked. That's my personal assumption based on the abrupt change. UPDATE: 7/23/2017 -- Christie Golden tweeted she is writing a new World of Warcraft novel. 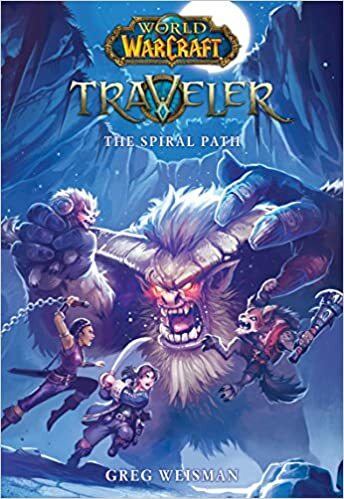 World of Warcraft: Traveler #2, The Spiral Path coming February 27, 2018. Last edited by Medievaldragon; 07-23-2017 at 05:17 PM..
Next waracraft novel is Before the Storm. It'd be fantastic if this list was updated regularly again. This thread was a great resource. There's no new book releases that we know of. True, I am more talking about keeping the OP up-to-date. Going through the list, it's out by a few years.